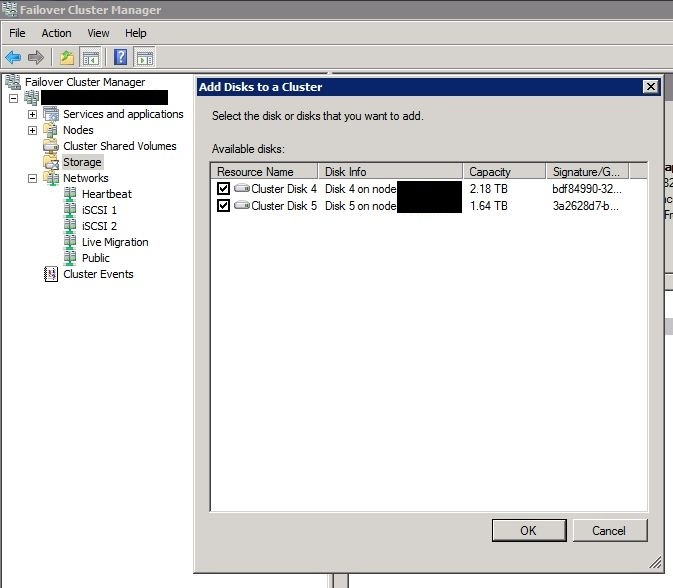 In this post I’ll walk you through the process of adding storage to a Windows Server 2008 R2 Failover Cluster for use with Hyper-V. 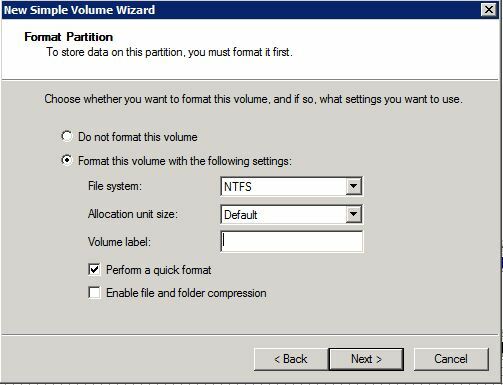 Cluster Shared Volumes (CSV) is only supported with Hyper-V and enables multiple cluster nodes to read and write to the same volume at the same time. Hyper-V supports the Live Migration of virtual machines (VMs) using CSV. The cluster used in this example is a five node cluster that’s already been fully configured and is running VMs. I’m just adding additional storage, but if you were starting from scratch with a new Failover Cluster the process would be the same except you’d need to enable CSV, whereas in my configuration it’s already enabled. 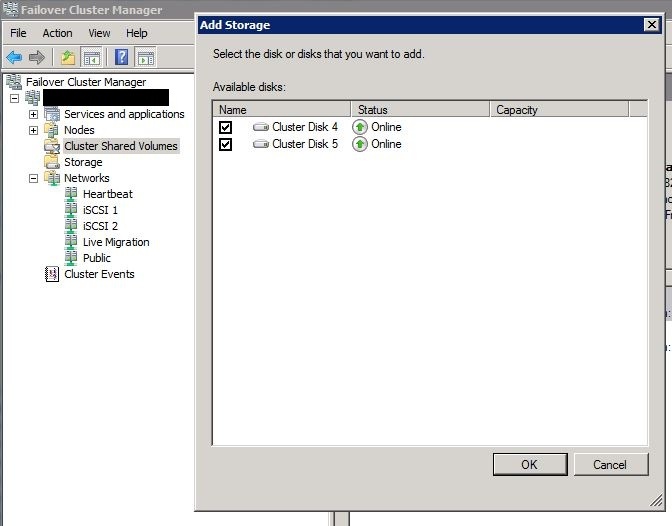 Firstly configure the shared storage so it’s accessible by all cluster nodes. In my example I’m using a Dell PowerVault MD3000i iSCSI array. 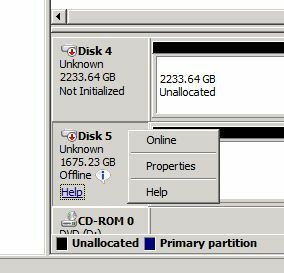 All the cluster nodes have been added to a host group, which has in turn been given access to the virtual disks I want to use in the cluster. 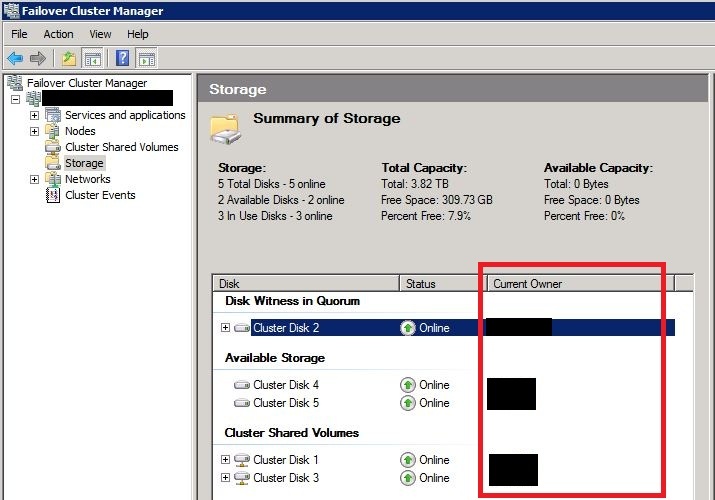 You can confirm that each cluster node has access to the storage by checking in Disk Management. The disks will be listed as Offline on each cluster node. Next click in the same place and choose Initialize Disk. 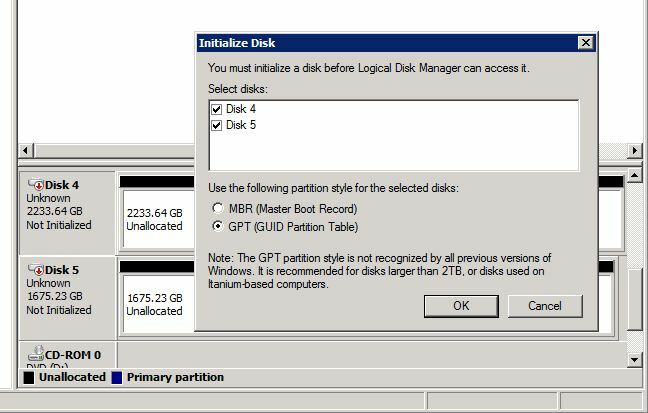 I choose GPT as it supports disks larger than 2TB. On the sever that’s the owner of the disk you want to add, open Disk Management and create a Simple Volume on each disk. 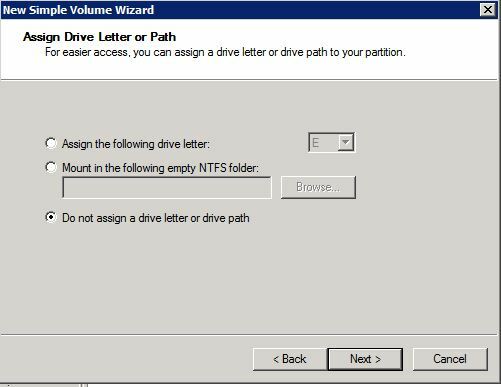 Do not assign a drive letter or path as it isn’t necessary, then format the partition as NTFS. If you haven’t already enabled CSV, do so now by right-clicking on the cluster name in Failover Cluster Manager and clicking Enable Cluster Shared Volumes. The storage is now available for VM placement. This entry was posted in Virtualisation on November 11, 2010 by richardstk. Hello Richard, I tried your guide, but it seems that other nodes instead the one that is the owner can’t write on new disk.